Being on the net, I’ve heard A LOT about this guy named Craig Ballantyne… you may have heard of him? He writes for Men’s Health and Oxygen regularly and he’s famous for his fat-burning workouts (known as Turbulence Training) He has this new 500 workout out that’s supposed to be tougher than the 300 workout. … I figured, I would try some of his fat loss workouts on myself (the first test) and then on my clients (the 2nd test). Both Craig and I would tell you that based on “the lean threshold” you will create the *illusion* that you are MORE muscular by stripping off the fat before building any NEW muscle ! … so the question is, “How are you going to strip the FAT in 2008? This is only PART 1 of our phone conversation (make sure to read to the bottom to hear about some gifts Craig has for you)…. Vince: What’s the worst thing someone can do in 2008 if they want to lose stomach fat? Craig Ballantyne: Eat crap and not exercise of course! Actually, just trying to “wing it” is going to leave most people frustrated. You have to put some work into preparing your plan, and if you do that, you’ll succeed. If you lack education about nutrition and exercise, you’re going to run into a lot of problems. But the more you know, the better off you will be. 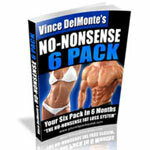 Vince: What is the best thing someone can do in 2008 if they want to lose stomach fat? Craig Ballantyne: Plan. Get a good workout plan that suits your lifestyle, physical interests, time constraints, equipment availability, and training history. Don’t do a heavy cardio program if you don’t have a lot of time and hate doing cardio. If you only have time for 3 short workouts per week, then grab something like Turbulence Training that you can do at home or the gym with minimal equipment. At the same time, plan your nutrition. Figure out what eating schedule works for you. Address your weak points and work around them. Get rid of all the bad foods in your house and replace them with good, fat fighting foods. Look at your schedule and determine the two best times each week to spend an hour or so preparing your meals for the next coming days (for example, an hour on Sunday and an hour on Wednesday). If you have your plan set out, all you have to do is follow it. Once you commit, stick to it. Don’t bounce from program to program, or diet to diet. Also, plan in “mental breaks”, such as cheat meals (once per week), and fun workouts – such as taking a long hike on the weekend or replacing one workout every month with a sport or workout with a friend. This plan will be your guide to success. Do it once and you don’t have to spend mental energy on it every week. 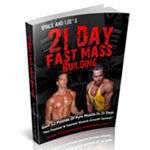 Vince: A lot of readers ask me, “Should I build muscle or lose stomach fat first?” When we were hanging out in West Palm together, you shared with me some interesting numbers on how to decide whether you should build muscle first or lose fat first. Can you provide my friends with those numbers and guidelines. And so on…5 lbs per inch in either direction. Vince: I agree. 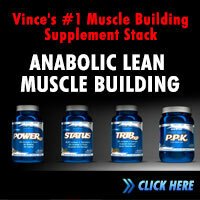 So you don’t think you can build muscle and lose fat a the same time? Craig Ballantyne: No, I do believe you can. Of course, the worse off you are, the easier it is. In fact, over fat beginners with poor exercise and diet habits can make dramatic gains in muscle while losing fat. In fact, I also found a research study last year that shows it is possible in men and women over the age of 50. Vince: So this is where you and I would slightly disagree. I’ve seen it happen too but I teach my clients to chase one goal at once. Put ALL your efforts into LOSING fat or GAINING muscle. Interestingly, most people would *appear* more muscular IF they dialed down to 10% fat (for males) and 16% fat (for females). I know you teach short and intense weight training workouts for fat loss but you see bodybuilders and fitness models doing 2 hours a day of cardio plus 1 hour a day of weights to get lean. How is Turbulence Training so different? Craig Ballantyne: I believe that resistance training and interval training are more efficient than most people give them credit for. So I think you can get the same results with 50% less volume. Four chest exercises done for 3 sets each does NOT result in four times as much muscle growth as doing one chest exercise for 3 sets. At some point, you have to ask yourself, what is this set really doing? By the time most guys get to their chest flyes, haven’t they already stimulated the pecs to maximal growth? exercises done hard, and then move on. Same with interval training versus cardio. There is more going on here than just the numbers of calorie counter readout. Long, slow cardio is inefficient. And to keep things in perspective, my programs are designed for men and women that don’t have 2 hours per day to train anyway… so its not an option. These people are lucky to have 2 hours per week. So there is no option but to use total body workouts, super-sets, and intervals. Nothing else will work in that short of a time frame. 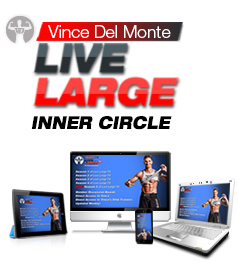 Vince: I have an issue with interval training for fat loss. As a competitive endurance athlete with zero fat on my body we stayed lean by doing lots of long, steady cardio and you preach the opposite. Why is interval training more superior? Craig Ballantyne: A couple of things make it better… First, it works in less time. We are getting great results with our three sessions of 20 minutes of intervals per week, sometimes even less time than that. It works, and it works in less time per week than most long endurance workouts require per session. Second, we see less overuse injuries with shorter, less frequent workouts. As a young guy, you might not have had too many aches and pains from your training, but go into any physio office and its packed with runners and triathletes that have overuse injuries. If you do the same motion thousands of times per long workout, the stress adds up. Almost no one can avoid it. Third, I’ve found that long cardio works best for young guys, and worse with age, and worse with women. We’ve all seen too many women on the same machine day after day for months with the same body, no changes. Now that’s also due to diet and often a lack of resistance training, but I’m just not convinced long cardio works for everyone. Vince: Also, interval training is HARD and intense on your joints if you don’t have a conditioning foundation to build off of. How do you make interval training safe and effective for everyone? Craig Ballantyne: Well, interval training is subjective, right? I mean, for a beginner that is 150 pounds overweight, no trainer in their right mind would ask them to sprint all out for 30 seconds. But, we can ask them to take their walking speed from 3.0 mph to 3.6 mph for 30 second intervals. And then they would go back down to 3.0 mph for recovery. training in “place” of interval training for both beginners and advanced fitness levels. strengthening at the same time. And this will prepare them for future, harder workouts. cardio and light weight machines. Craig’s put together the ultimate Turbulence Training package that contains not only 16-weeks of advanced fat loss workouts and 10 weeks of beginner programs, but he’s also added 5 new bonuses that are available only for the next three days. You’ll learn the insider fat burning secrets from 3 of the most experienced Transformation Trainers in North America. We squeezed every last one of their fat burning secrets from them so YOU can achieve your ultimate body transformation. It will help the absolute beginner and even the fitness competitor. 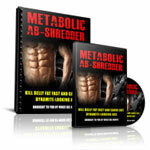 The report contains detailed, step-by-step information for every fat loss level. No fat burning stone was left unturned, diet plans were scrutinized and reviewed, and these experts share the exact details for looking your best on the big day (whether it is at a wedding, a physique contest, or simply to be ready for your transformation “after”photos). America’s #1 Fat Loss Expert for Moms, Holly Rigsby, has designed an exclusive 4-week workout plan you can do in the comfort of your own home. The World’s Busiest Dad and personal trainer, Chris Lopez, shares with you his 20-minute workout secrets to get Dad’s back into fighting shape so they can keep up with their kids and outlast their wives. Brad is a nutrition expert and his controversial fat loss eating guideline is making waves in the dieting community. People are busting through fat loss plateaus and loving the lifestyle that Brad’s approach allows. It’s a simple, anti-diet approach to fat loss. This is the year. How many times have we all said that? Well, this IS the year. Listen to the UK’s top fitness and motivational expert Dax Moy and learn how to set goals and live the lifestyle to reach those goals. No more dropping out, this is the year you will go all the way and finally succeed in changing your body! But this entire package is only available for the next 72 hours. On Wednesday, January 2nd at midnight, all 5 of these bonuses will disappear from the bonus package and will never, EVER be offered again. 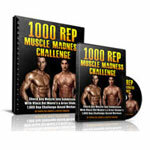 If you don’t pick-up this incredible collection of fat loss bonuses today, you might kick yourself for missing out. This is the kind of information that can take a fat loss program from zero to sixty in just days, snapping you out of even the deepest, darkest fat loss plateau you’ve ever experienced. This is ONE fat loss package that EVERY committed person should take into 2008 if they are truly committed to losing fat! Freecell solitaire is one of the advanced version of solitaire game which you will play online if you were interested in playing card game then it will be the best choice for you just visit here and play Freecell Solitaire online without any pay and app installation. Both of you guys are tops in my book! I recommend your sites and products to everyone. Keep up the great work.